Ultraman, 2 player games, Play Ultraman Game at twoplayer-game.com. Fight against all your enemies! 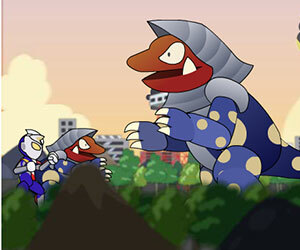 One of the legend cartoon series "ULTRAMAN" is in Twoplayer-games.com now. Moreover, you will encounter new adventures in this game; you'll find yourself in the middle of the action. Numpad 2 - Attack.Numpad 3- Special.